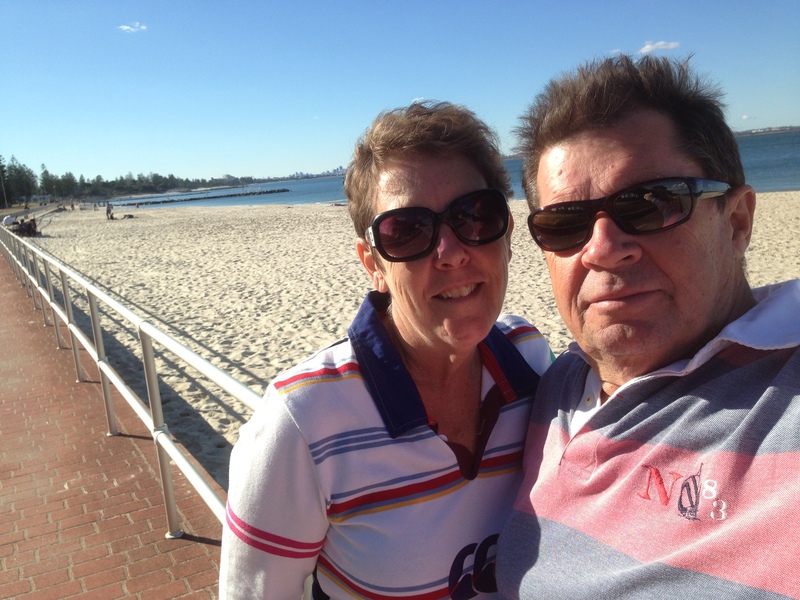 Michael and Pam live in southern suburbs of Sydney (The Shire), Australia. We caught the travel bug several years ago. Having been a firefighter for 34 years, I retired in 2012. Pam retired in 2017, so we have taken the opportunity to extend our motorhome travels and take the odd side trip. Having visited Europe and North America in 2011-2013 we were looking for a way to extend our travelling dollar. After looking at numerous blogs, we decide a motorhome could be the way. So after much investigating we decided on the make and model we were looking for. Our plan was to purchase the motorhome during our next trip to the UK in 2013. We started looking on eBay and next thing you know, we are the proud owners of a 2005 Hymer B584. In 2014 we headed off on our first extended motorhome trip. Travelling from London via the ferry to Calais, from there we followed the French coast through Normandy, Brittany and the Atlantic coast to Spain before heading into the Pyrenees. From Toulouse we commenced two weeks on the Midi-Canal in a french penichette. Back on the road again we crossed into Spain and followed the west coast to Valencia before heading home via Bilbao. In 2015 we wanted to do something special for the Anzac centenary. Our great uncle George Bentley Guymer served in the AIF in WW1, he was killed in French Flanders in 1917. So departing England for France via Dunkirk we visit Bailleul cemetery before transiting France and Italy to Ancona. Travelling by ferry to Igoumenitsa, touring northern Greece and entering Turkey. We visit Anzac Cove at Gallipoli, Istanbul and tour central Turkey before again travelling by ferry from Cesme to Chios (Greek Island) then ferry again to the Port of Piraeus. We wander the Peloponnese for a few weeks before heading back to Italy by ferry and starting the long drive back. In 2016 we completed a four month tour of England and Europe in our Hymer. Starting with a ferry ride to the Ilse of Wight for a few days back in the 1960’s. We then enjoyed a couple of weeks in Devon and Cornwall before crossing the channel by train for the first time. Having secured tickets for the Centenery Celebrations at Pozieres, we spent a few days in France before heading north into Belgium. The next 3 months were spent touring Belgium, The Netherlands and Germany. This included an 8 day cruise on the Rhein River which ticks another one off the bucket list. In summary we fell in love with Germany, it proved to be a very motorhome friendly place to tour. In 2017 we completed another four month tour commencing with a few weeks in England and Wales before pointing the Hymer towards the Chunnel and making our way to Europe. Heading north quickly across Belgium into The Netherlands we travelled on to northern Holland. Spending several days touring our way to the German border. We cross Germany quickly into Denmark, touring again up through western Denmark, crossing to Sweden then touring north through Norway, Finland and Sweden, before returning via eastern Denmark, central Germany and France. In 2018 we completed an 18 week tour commencing with 5 weeks in Scotland including Skye, the Outer Hebrides and the Orkneys. Then made for the chunnel and France to spend a few days focused on the Tour de France in the Alps. As the Tour moved north we headed south spending a week touring the French Alps, before crossing into Italy. From Genoa we took a ferry to Sicily, then another to Malta for 8 days. Then back to Sicily and on to the Italian mainland. We toured Italy for the next 8 weeks before crossing France again, the chunnel and putting the Hymer in hibernation till next year.